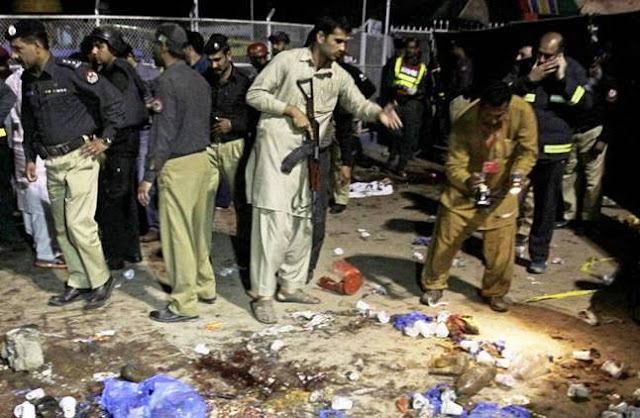 An explosion rocked a public park at Lahore in Pakistan on Sunday evening. At least 60 people were killed and many injured in a suicide attack. According to the witnesses who were present there when the incident took place in Gulshan-e-Iqbal park said, “It was a suicide attack. 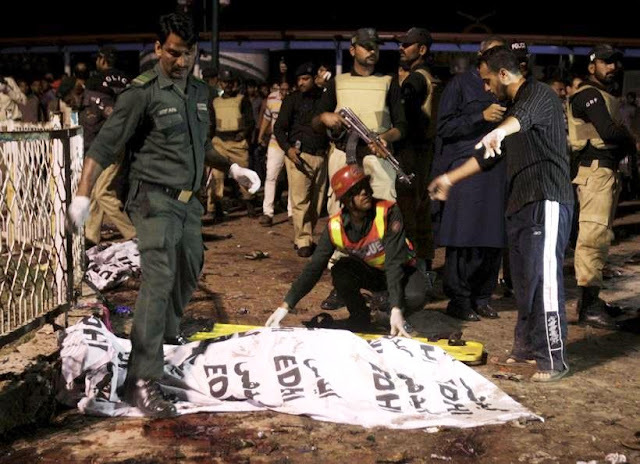 The suicide bomber had fastened the explosive in his waist belt, but the forensic experts said, 'the suicide attacker had worn a 10 kilogram explosive belt. The military have been deployed in the area'." The rescue team have reached there after the blast. 23 ambulances have rushed to the spot. The park was crowded because of being Sunday and Easter. The search operation is continued by security team in the park and nearby areas. "Heard about the blast in Lahore. I strongly condemn it. My condolences to families of the deceased & prayers with the injured." the park was wet by blood; scattered there the body parts. the place was crowded by the children and women and families. the area has been sealed by security personnel and the emergency has been declared in government hospitals.